Sarah needed hair adjustments prior to wedding party pictures at Franklin Park Conservatory and, since it had started to rain a bit, we ducked inside one of the buildings. 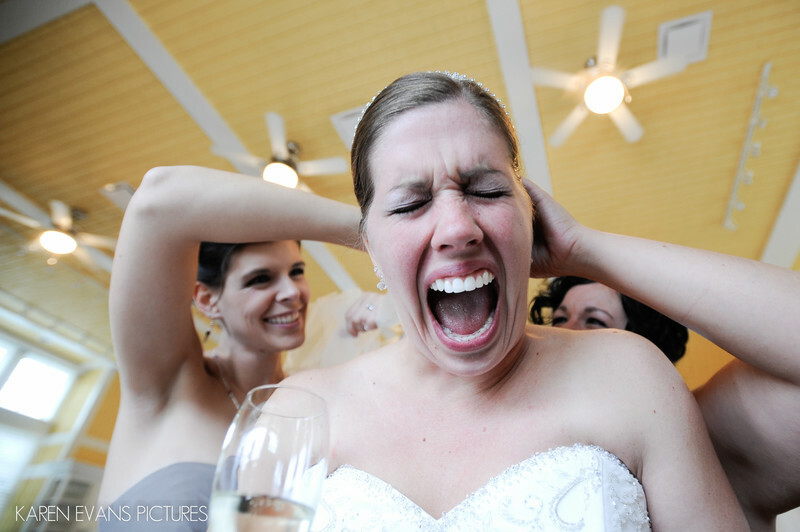 I made a series of photos from this few minutes as Sarah's expression went from just mere annoyance to sheer pain as the girls delighted in pulling her hair tighter and tighter. Keywords: franklin park conservatory (33).